Thank you to all of the parents, grandparents and individuals who have so generously supported TIOH’s Play Spaces Rebuilding Project. TIOH is excited to be seeking to raise the final $500,000 required to complete the total renovation of our current outdoor playgrounds, including the installation of a football-field-size multi-sports ball field. Your child’s name, your family name, a business logo or name(s) of your loved ones can be featured on many of the following options. 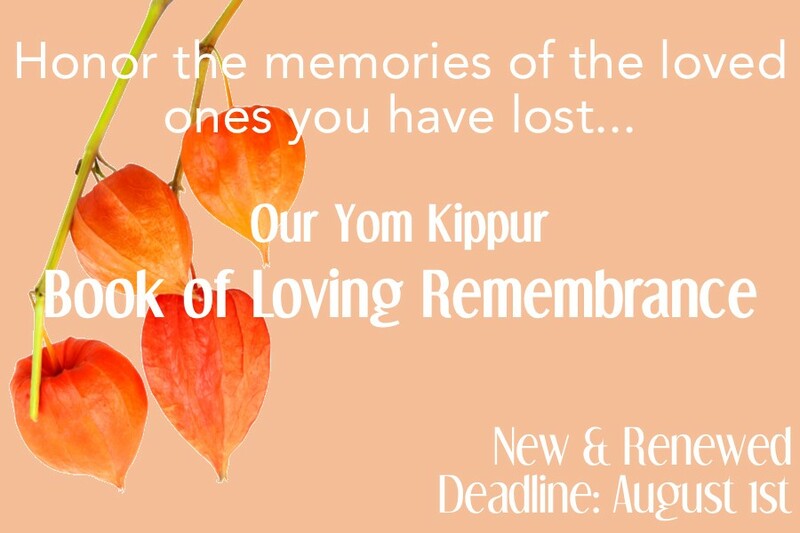 Your gift in honor or memory of a friend or loved one will help Temple Israel serve thousands with our many programs, services and charitable good works. Please enter the amount of your contribution, select the occasion and enter the name(s) of those you wish to honor or pay tribute to. Our annual TIOH 4-6th Grade Retreat is still on with our new May date this year at an amazing new location – Pali Adventure Institute! Our weekend up in the mountains by Lake Arrowhead will include guided nature hiking, archery, arts and crafts, camp fires, a talent show, sports (including gaga of course), and so much fun! Our campy fun staff, amazing programs, and cool new location will make this the best weekend ever. We will be meeting at TIOH on Friday May 17th at 1PM and leaving no later than 1:30PM as this is a further away location and we want to beat traffic. We will be leaving Pali at 9:30AM on Sunday morning, and will be back around noon! Pali Camp is an incredible retreat facility with comfy heated cabins and one full bathroom for every 4 kids. We will have two counselors in each cabin of 10 kids. They serve amazing food made fresh in a nut free on site facility (including their bread!) with accommodations for all dietary restrictions. If you have any questions please feel free to email or call our Youth Director and Retreat organizer Liana Wertman at lwertman@tioh.org or 323 876 8330 x 6004. This group meets during day-time hours. 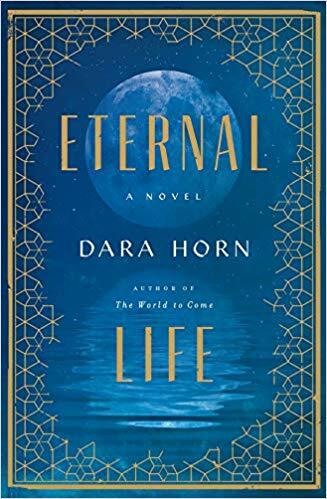 Light cheese and crackers with beverages will be served..
Sunday Apri 7, 2019 – 1:00 PM snacks and discussion; 2:00 PM performance. Power and grace. Tenderness and strength. Precision and passion. 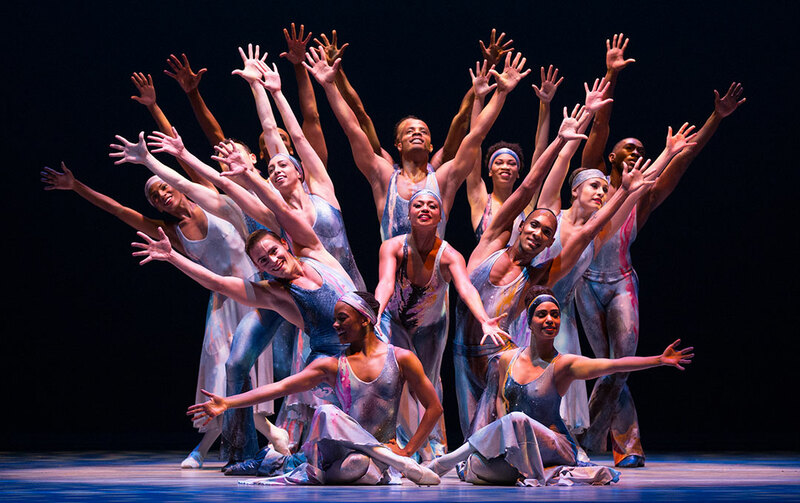 For 60 years, Alvin Ailey American Dance Theater has embodied these complexities and contradictions of the human condition with dance performances that uplift and transform. 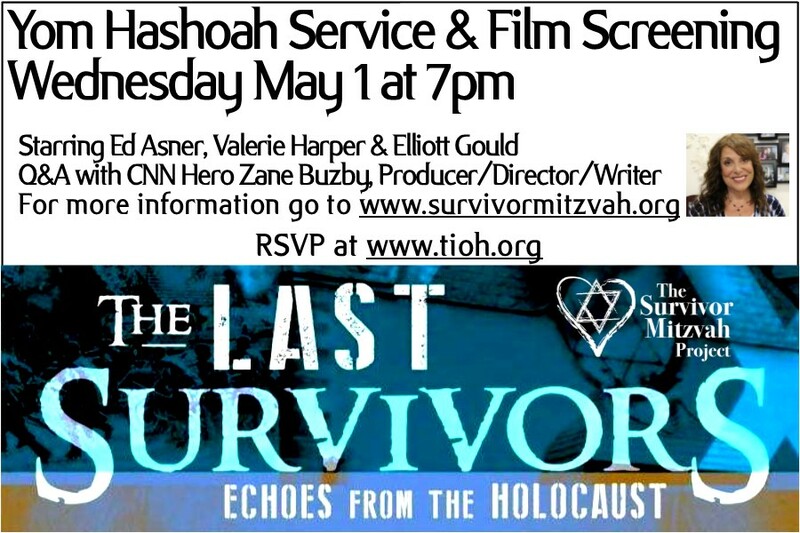 The program on April 7th will include the dances: Kairos, The Call, Shelter and Revelations. Limited seats available. Please RSVP soon to assure your seats. Please purchase: Pirke Avot: A Modern Commentary on Jewish Ethics by Kravitz and Olitzky Amazon Link to participate in this class. All of Teen Program is invited to join us for a night at the Pantages to see Fiddler on the Roof on May 2nd. Drop off at a nearby restaurant to be determined for dinner at 6PM. The play will run from 8-10:30PM. Pick up at the Pantages at 10:30PM. We’re excited to get the chance to see this classic story on the stage from really great seats, and we’re glad to get to offer this wonderful experience to our teens! Tickets are limited so sign up now! Challah is delivered to your child's cubbie every Friday 9/28-6/7, with the exception of school closures, holidays and vacations. 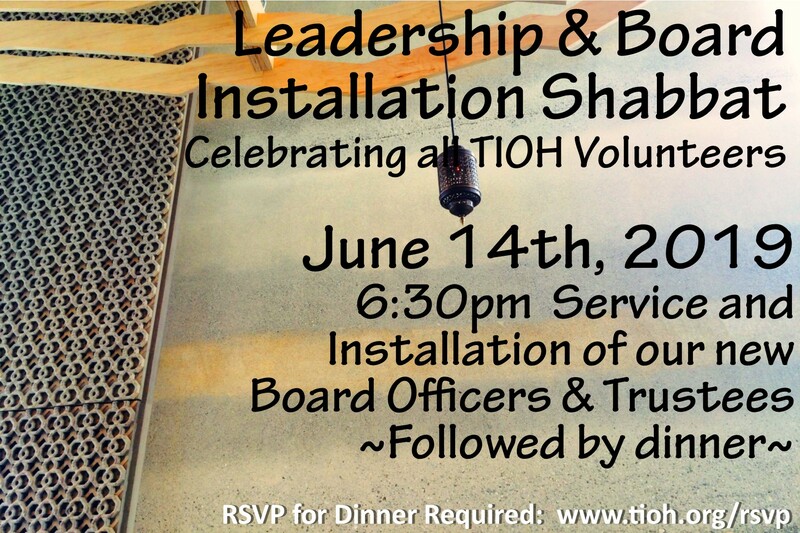 Join TIOH in celebrating and honoring our inspiring teens! Beginning with a lovely dinner together, our services will showcase the incredible things our teens have done this year. 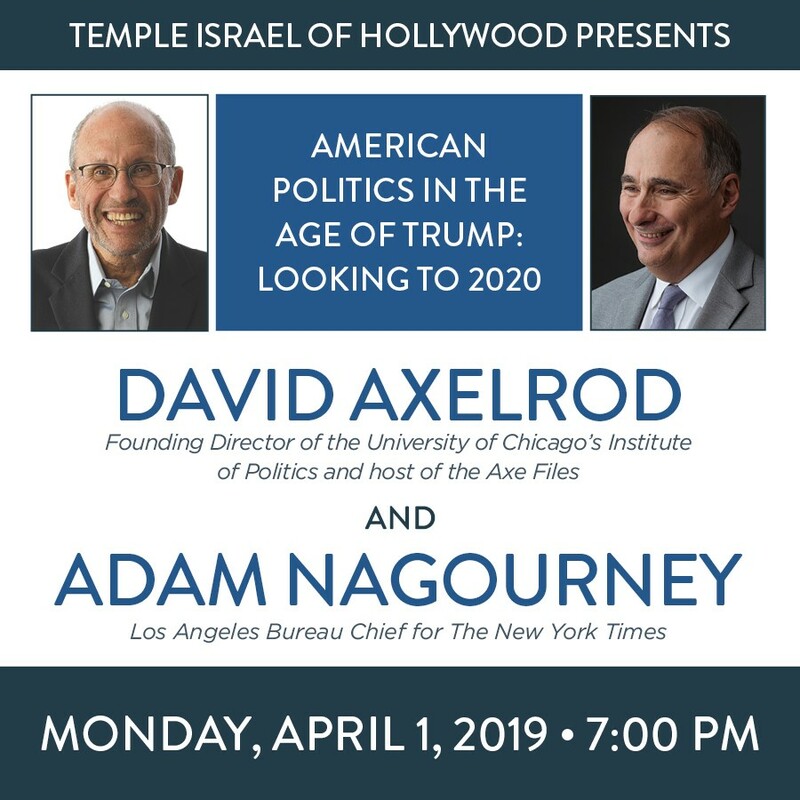 You will hear about their trips to Arizona and to Guatemala, we will hear from the speeches our 9th graders read to their congresspeople's offices at L'Taken, we will hear iyunim on prayers, and honor our graduating Seniors, our Madrichim, and the HOTY board. The music of the service will also be performed by our teens. This night will be a beautiful occasion to join together and celebrate the achievements of our 7th - 12th graders. We are now accepting snack packages for the second semester of religious school. Package prices are based on the number of Wednesdays (14) in the second semester. Social Justice T-Shirts The TIOH Justice T-Shirt featuring original artwork by Christopher Noxon, is a must-have for fashionable activists everywhere. 18-19 Day School Annual Giving Campaign Temple Israel of Hollywood Day School's Annual Giving Campaign helps to "fill the gap" between tuition and the actual cost, per child, to operate our school. Your 100% tax-deductible donation will help us meet our operating budget, enable our high level of excellence and maintain our inclusive, diverse community of families. We are proud that regularly 100% of parents and teachers contribute to the campaign, as well as grandparents and a growing number of our students and alumni! Make a Donation Your gift will help Temple Israel serve thousands with our many programs, services and charitable good works. Donate In Honor of Another Your gift in honor or memory of a friend or loved one will help Temple Israel serve thousands with our many programs, services and charitable good works. Please enter the amount of your contribution, select the occasion and enter the name(s) of those you wish to honor or pay tribute to. LAJFF Screening of "Who Will Write Our History"
19-20 NS CHALLAH ORDER FORM Challah is delivered to your child's cubbie every Friday 9/28-6/7, with the exception of school closures, holidays and vacations.